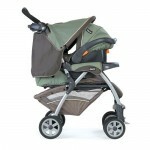 The aluminum frame Cortina stroller with one hand fold comes loaded with extra features you and baby will enjoy. The mutliple position, fully reclining seat and adjustable leg rest provides comfort for your baby. The seat has memory recline for your convenience – it remembers the position you last left it in before folding. The adjustable, removable canopy is water repellent. The large basket – which is accessible when the backrest is fully reclined – provides plenty of storage for all the things your baby needs. Linked rear brakes and a 5 pt harness provide safety and all wheel suspension gives just the right ride to baby. An adjustable handle make strolling comfortable for Mom or Dad. Accepts all Graco® SnugRide® Infant Car Seats and Infant SafeSeat” Car Seats. Extended weight limit holds child up to 50 lbs to last past the toddler years. Easy access drop-down basket lets you reach in without disturbing reclined child. I bought this stroller as a travel system. I’m not too fond of the car seat but the stroller is light weight and easy to get in and out of the car. We like to shop at swapmeets on the weekends and this stroller is perfect for us. It is easy to manuever and my son is very comfortable in it. Trust me, if your looking for something light weight and easy to fold up, this is it!!! The car seat is very cushioned thats something I was looking for, you don’t want your baby sitting on plastic. 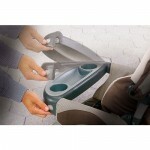 The car seat just snaps into its base which is very easy and time saving. One thing I don’t like is that the stroller is bulky and rolls when trying to get in car, that or I’m not closing it right. Overall I love it! we LOVE LOVE LOVE this! we got it before our little one was born, we needed something for tall parents. clay is 14 months and this stroller still rocks! he is super tall for his age, average weight, and fits perfectly. we’ve been using it without the carrier since around 4 months and it has been great. it is super adjustable as far as straps go. the width is fine for him too. not sure why other parents are having a problem…we’ve loved it and will use it until it falls apart! 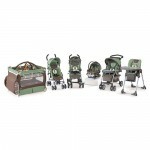 We picked this travel system because the smooth handling rivaled that of the costly Bugaboo. The carseat is very easy to snap into the base correctly, and it feels very sturdy and comfortable for our baby. As others have mentioned, however, the carseat is rather large and bulky (although it has to be to accommodate a 30-lb baby!) and the Nylon fabric lining does not breathe at all. Our daughter is always hot and sweaty after sitting in it for more than a couple of minutes in the air-conditioned car. On a positive note, the fabric cleans really well, but has “pilled up” around where our daughter’s feet sit. The stroller does provide a comfy, smooth ride, and we like how well it maneuvers. 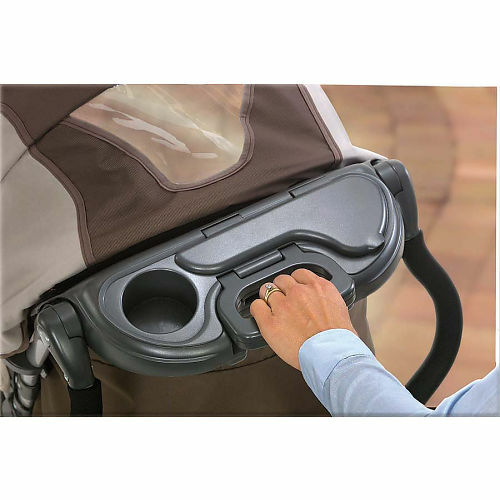 I like the cupholder and snack tray for our daughter, and the cupholder and storage compartments on the handle for the parent. The stroller folds up easily with one hand, but does dominate the entire trunk of my Corolla. 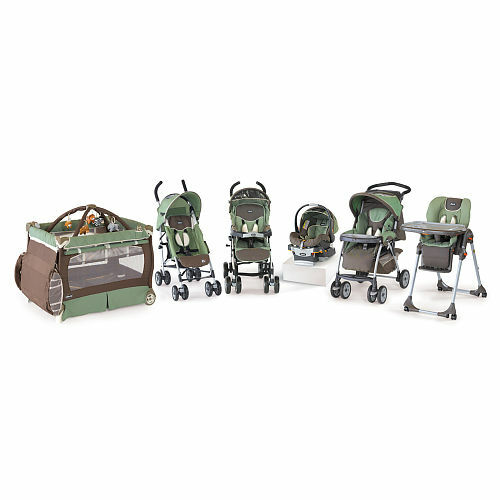 It’s difficult, however, to stow stuff in the under-basket when the infant carrier is in, and the canopy does not provide much shade at all. We’ve been using this for the past 13.5 months, though, and it’s still holding up really well. I have always been a GRACO lover but I had to jump ship with this stroller. I have found it very easy to open and I really like that the back of it has some support. The GRACO comparable stroller was fabric only so if I laid it flat there was nothing to support underneath. It is large but not heavy. 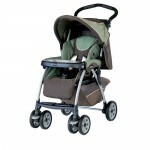 I am a daycare provider and have found this to be very reliable and sturdy.